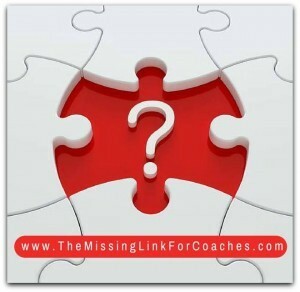 This podcast is brought to you by Coaches Connection Academy.com – THE Missing Link For Coaches. (1) Have you always wanted to be a coach or was there a PIVOTAL moment in your life that prompted the shift? I am surprised that I became a coach, or teacher of sorts, when I look back on y shyness and my lack of assertiveness when I was a child. However, even then I would find a friend or two that I would instruct when they asked me to. With drawing mostly. I had a coach that I had hired that asked me to take over some clients of hers.. that was how I started and to my surprise I did well. (2) Who is your IDEAL client and how do you support them? I love working with success-minded people that have a big “why” I particulary love working with folks that have faith and that “why” is actually what they feel is a calling. I understand how they feel and I just hold the place for them until they step into it! (3) If you could go back in time, what advice would you give your younger self? (4) Support from people around you is very important when starting a business – Were you supported from the beginning or did you have “NAY SAYERS” that you had to deal with? I felt supported but sometimes the support that was offered was not at all what I needed.. hence, the need for discernment! (5) What advice do you have for NEWBIE COACHES just starting out their coaching journey? Have a coach.. audition the potential coaches.. consider yourself the prize and they are vying for the opportunity to work with you. So often we can go after the big and shiny branded people out there, but my best coaches over the years have been the more subtle folks that really walk their talk and live in integrity. (6) What was your biggest challenge as a coach and how did you overcome it? Learning that comparison to anyone else is futile. Coming from the acting where it seems we are constantly compared to others it was very hard to reach the point where I realized I am not living anyone’s story but mine.. and I, like everyone else, am uniquely and perfectly created by design. Because of this shift in perspective I am able to share a stage with someone that could be considered my “competition” because I now realize that there is enough out there for everyone. Enough clients enough opportunities and .. enough money. Sandra Dee Robinson is a soap star, TV Host & Founder of Charisma on Camera Consulting & Horsepowered Leadership Training. Recognized from Another World, Bold & the Beautiful, Days of Our Lives & more, Sandra consults and speaks for companies and well-established experts to reveal their most powerful personal presence.